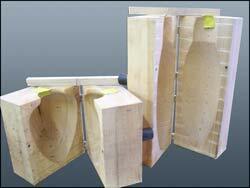 There is no easier or better way to produce a series of the same shape as with a mold. Wooden molds work on what we call the Air Hockey Principle. 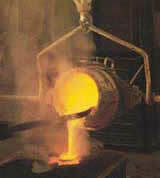 When hot glass touches wet wood, a steam cushion is formed, producing a smooth, even surface on the glass. These molds are excellent for shorter runs of between 100 and 500 pieces, depending on shape and tolerances. 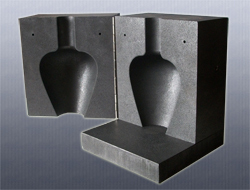 Metal molds have a long history in glassblowing. 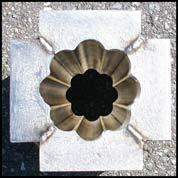 Available in Brass, Iron and Aluminum, metal molds work for shapes that have embossed detail or that can't be turned. Graphite has the unique qualities of very long life with less thermal thievery to produce a consistent shape for years and years. Needs corking every 300 to 400 pieces.